Sometimes, nothing s ounds more relaxing than a nice massage. Massages were designed to relieve pain, create relaxation, and release tension. Many people receive massage therapy a few times a month, and then there are others that have never had the pleasure of experiencing this helpful technique. At Abarr Lake Chiropractic in Loveland, we want to aid any ailment you have in a numerous amount of ways. Our chiropractic and acupuncture treatments are top-notch; however, we also offer other methods that ones before us have not considered, massage therapy. Therapeutic Massage – tailored to the needs and wants of our patients. Athletic Replenishing Treatment – for the athletes out there, this will help those tired and stressed out musclesfeel rejuvenized. Mother Earth – for those soon-to-be moms who require some relaxation before the big day. Hot River Stone Massage – designed to use specific river rocks to relieve many inconvenient happenings within the body, such as deep muscle stress, muscle tension, anxiety, arthritis, and insomnia. We create a nice relaxing environment to perform massage therapy on our patients. Why is this massage a great option? Melts you away – This massage is regarded as the tension eraser. It relieves all the tension in your muscles so you can feel comfortable and free from pain. Increases – Circulation and metabolism. Heat – Directed heat from the stones was designed to relax and relieve pain from specific muscles that are causing discomfort. 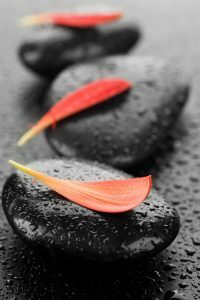 Call Abarr Lake Chiropractic in Loveland to learn more about, and schedule, your hot river stone massage. This massage will relax you to your core. You will leave our facility feeling relaxed, tension free, and a warmth coursing through your veins. We have professional and certified massage therapists to perform the massage therapy you have been needing. Don’t live with tension one more day, take care of it now.